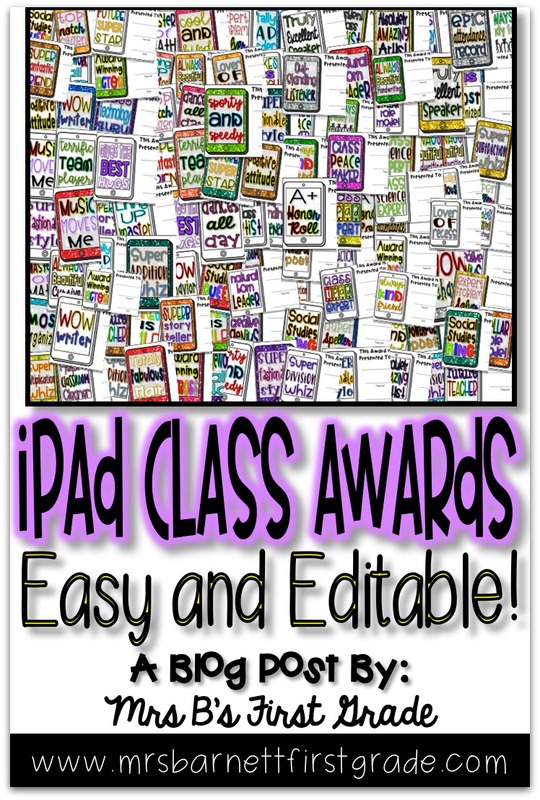 iPad Class Awards - Perfect for the end of the year! 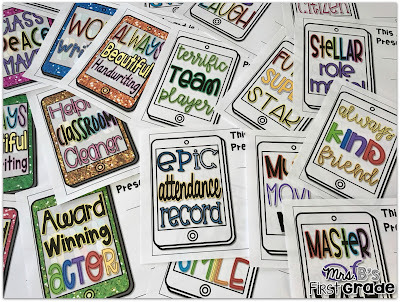 As the school year comes to a close it is important to recognize the students in your class. Each one of your friends has a personality that has inevitably shown through. They also play an important role in your daily classroom life. 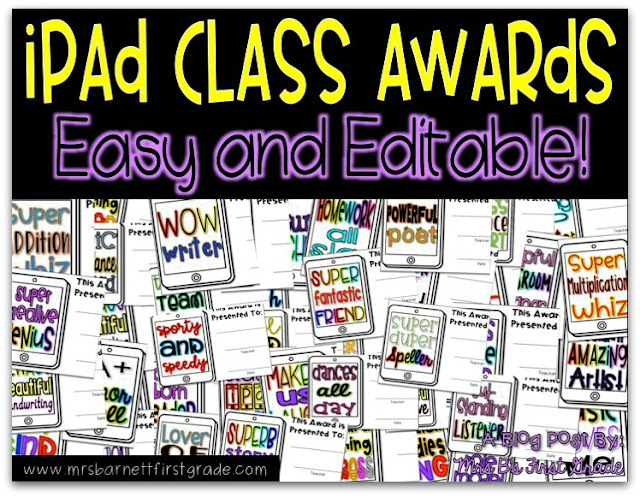 Your classroom has become a family and closing the year with an award ceremony recognizes that is memorable to them. 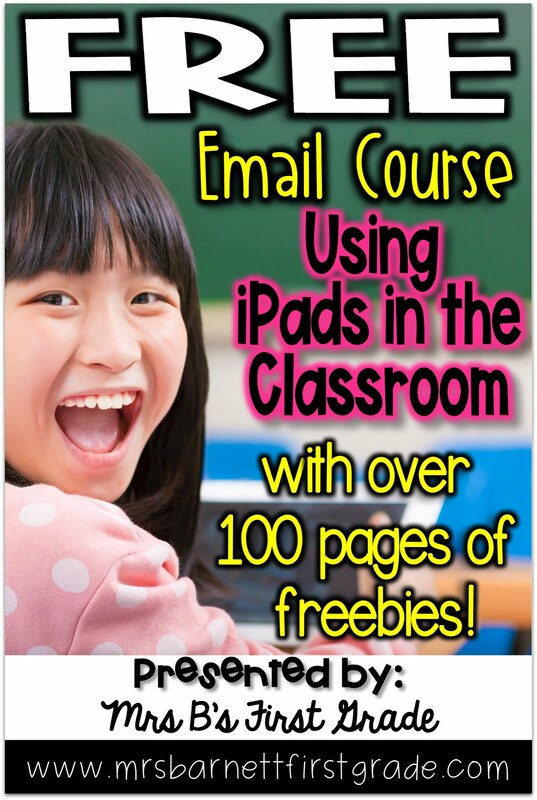 Most of you know already that my class loves having iPads. 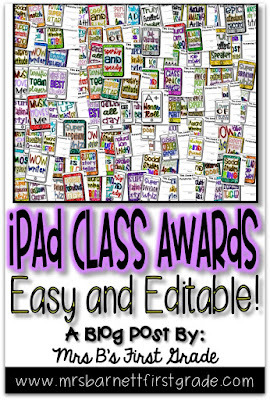 So, obviously the best awards for us would have iPads on them! 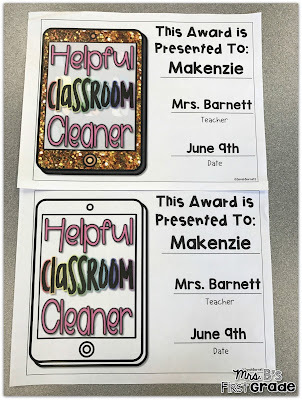 I had so much fun creating these awards that I literally couldn't stop. I ended up creating 55! (you can see a list of the awards by heading to my TpT store here) I thought about the students I currently have and the ones I have had in the past. I tried to cover all of the personality traits that I have seen in them. After I finished creating them, I wanted to make them easy to you! I don't like it when I purchase a product and then add my messy handwriting onto it. I think it looks better typed. So, I made these EDITABLE for you! Then, to make things even easier, I added a clickable table of contents. What does this mean? You do not need to scroll over and over through my 116 page document. Instead, look at the table of contents for the color choice you would like (did I mention there are two color choices?) 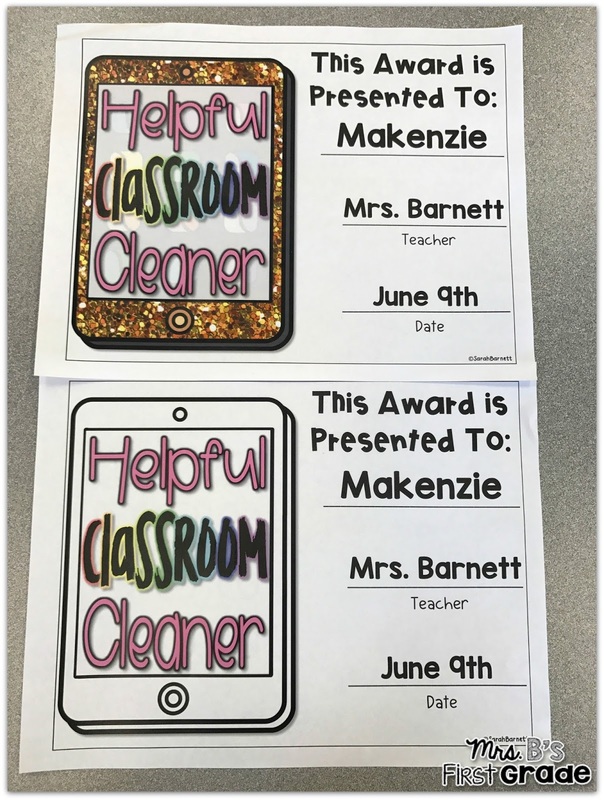 and click the award when you think of a student to fit it. Add their details and print! Want to check them out for yourself? Click the picture below to be taken to my store!